Back to school, back to school. To prove to dad that I’m not a fool. Got my lunch packed up, my shoes tied tight. I hope I don’t get in a fight. Oh, back to school. When Prevention Educators from SACC present to middle and high school students, we always discuss sexual harassment. At first I was shocked to learn that some students really don’t know what is appropriate to say and what is actually “harassment.” Most students think that harassment is just bullying or name-calling. While those are definitely examples of harassment, there is much more to it! As Prevention Educators, we point out that sexual harassment also includes making comments about people’s physical appearance, bodies, or clothes; telling dirty jokes; making offensive hand or body gestures (booo Miley Cyrus); and even spreading rumors about someone. As adults we need to work with youngsters to help them realize that their words and actions have real-life consequences. Schools will no longer tolerate sexual harassment. In fact, Title IX states that a school has a responsibility to respond promptly and effectively to harassment. If a school knows or reasonably should know about sexual harassment or sexual violence that creates a hostile environment, the school must take immediate action to eliminate the sexual harassment or sexual violence, prevent its recurrence, and address its effects. Summer (especially after a long Wisconsin winter) is a great time for families and friends to enjoy time outdoors and let loose a little bit, but we always need to be conscientious of the language we use and the behaviors we model for our children. It is our responsibility as a community to send children back to school ready to learn and behave respectfully. Counseling now available in Chilton. The Sexual Assault Crisis Center has been offering CARE – Counseling, Advocacy, Resources, and Education in Outagamie and Calumet County for over 35 years. This past fall, we realized that a satellite office in Calumet County was a necessity. Many victims in Calumet County were required to travel the long distances to our main offices in Appleton, which became a hindrance for some – and an inconvenience for all. Seeking to better meet the needs of those in this rural county, the Sexual Assault Crisis Center set out to raise funds to create an accessible office space in Chilton for sexual assault victims in Calumet County. We are now happy to report that the office is actively up and running! Summer hours are Thursdays from 10 am to 4 pm. Starting in September, 2014, fall hours will be on Monday afternoons or Friday mornings, dependent upon client needs. To arrange for an appointment at the Chilton office, simply call our main phone line at (920)733-8119. We hope to better serve the needs to all sexual assault victims, both near and far, by inspiring change and instilling a sense of hope and healing. Together, we can end sexual violence in the Fox Cities. Filed under Sexual Assault Crisis Center Updates. Donations are what make our services happen; Thank You! Sexual Assault Crisis Center was established in 1978 as a nonprofit IRS Code, 501(c)(3) which means donations to our agency are deductible to the full extent of the law as charitable contributions. We’re able to provide our services in Outagamie and Calumet Counties due to the generosity and continued support of donors. We’ve been a United Way Fox Cities agency since our beginning and 33% of our support comes from this partnership. We also receive a small portion of our funding from United Way of New London. Another way we raise monies is through grants which is another 33% of our income. Half of our grants come from your state tax dollars at work in your community (yup, we like taxes!) We’re state-funded through Sexual Assault Victim Services (SAVS) and Victims of Crime Act (VOCA); and periodically, we are awarded monies from Violence Against Women Act (VAWA). Our other grants come from the generosity of local granting foundations like the J. J. Keller Foundation, Roundy’s Foundation and Memorial Presbyterian. Church. We continually seek relationships with other funders to enhance our programs. The last portion of our funding comes from the generosity of local individuals and corporations and through our annual fundraiser, “Shall We Dance?”. These relationships are very personal for us and we’re extremely grateful for the friendships that we’ve raised over the years. All these fundraising parts make a whole and help us succeed in moving victims to survivors. Thank You! Together we can end sexual violence in the Fox Cities. May is Mental Health Awareness Month. One in four people in our community live with a diagnosable, treatable mental health condition. When working with clients who have been sexually assaulted it is hard not to see the correlation between sexual assault and mental health. Nationally 10% of children are sexually abused and when you consider 88% of cases are unreported these numbers are staggering. People who suffer from some mental health conditions are at a greater risk of sexual assault and those who are sexually assaulted are at a greater risk of having mental health issues. Although, there may be those who fear the correlation due to the “stigma” attached to both mental health and sexual assault it is undeniable. Let’s embrace this knowledge and move forward knowing you can heal from both. Mental health can be cured and managed. Sexual assault victims can become survivors. Take a moment this month to learn more about mental health; read a book, join a cause, make a donation, visit an organization, volunteer. We do not need to hide from mental health or sexual assault – be a part of the change! 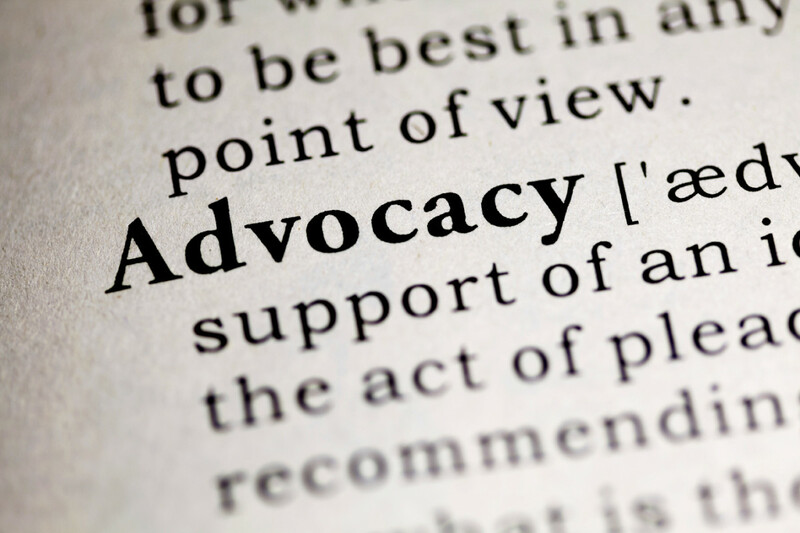 Advocacy is defined simply as “active support.” At the Sexual Assault Crisis Center, we are all advocates – actively supporting victims and their loved ones for over 35 years. We also have a team of over 20 trained and highly competent volunteers who provide victim advocacy 24 hours a day, 7 days a week, 365 days a year. A victim’s first point of contact is a critical step in the healing process. As advocates, we may offer phone assistance to victims, accompany victims to emergency rooms, hospitals or police stations, guide victims through evidence collection and legal processes – all while providing compassionate understanding and emotional support. Victims who receive advocacy support while reporting or receiving medical care for their assault tend to have better outcomes in court and stronger connections with community resources. It also provides a critical opportunity to establish support and create hope – prompting a victim’s healing journey. The Sexual Assault Crisis Center is happy to report that new funding has been secured to hire a Victim Advocate/Volunteer Coordinator who will manage our volunteer program and oversee all advocacy operations. We are excited to move forward with this important position and eager to see how this additional support will benefit victims and volunteers alike. Thank you for your continued “active support” of our agency and our mission to inspire change and instill a sense of hope and healing for sexual assault victims. Together, we can end sexual violence in the Fox Cities.